The Epiphone G-400 Pro Left Handed is the essentially the left-handed Epiphone SG, with the SG being one of the most original designs in rock. The G-400 PRO now features Alnico Classic PRO pickups, with push/pull coil-tapping, for improved tone and versatility. The original SG was played by scores of rock, hard rock and metal guitarists and it's long been a classic. Now, the G-400 PRO gives you the sound and look of a real SG but cuts the price tag and adds some serious tonal variety, courtesy of the coil-taps. The SG itself was originally introduced in '61, but The G-400 PRO is inspired by the guitars from the later '60s. 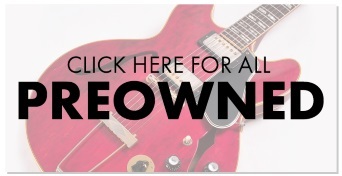 These guitars are player's and collector's favourites. The G-400 Pro uses the same dimensions and build techniques as these vintage SGs, as were made in the Kalamazoo, Michigan. The G-400 Pro gives you solid, rich tone courtesy of its carved mahogany body, plus the classic body shape gives you the classic SG balance when played standing. But the new Wilkinson Vintage Classic tuners are lighter in weight than some other cheaper machineheads, helping preventing neck heaviness. The SlimTaper "D" profile mahogany neck has the Gibson-standard 24.75" scale, but have 24 frets and a 12" radius, plus incredible upper fret reach thanks to the SG's classic cutaway. Epiphone is one of the leaders of building great-sounding guitars for players of all levels and the G-400 Pro continues that tradition. 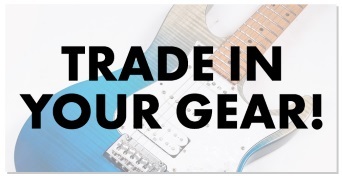 Try one out today if you want a classic styled guitar, that's more versatile than that classic styling might lead you to believe.